NerdWallet Shopping’s scoring of the best strollers is based on our analysis of the opinions of experts and shoppers like you. The sturdy Chicco Keyfit Caddy was designed exclusively to hold the Chicco Keyfit Infant car seat, which snaps easily into place, providing a smooth, safe ride for children who weigh up to 30 pounds. Lightweight and compact, the Chicco Liteway features rear-wheel suspension (with foot-locking rear brakes) and precision-swivel front wheels for maneuverability. Its padded five-point harness helps keep babies safe, and its multi-position adjustable seat accommodates children who weigh up to 40 pounds. 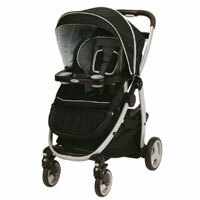 The ultra lightweight Graco SnugRider Elite acts as a stroller frame for all Graco car seats. It offers a smooth ride, and with its easy, one-hand standing fold, you can quickly throw it in the backseat or tuck it into your trunk. The Graco Breaze Click Connect easily accommodates children from infancy through toddlerhood by folding into a bassinet or allowing you to snap in their Graco car seat. 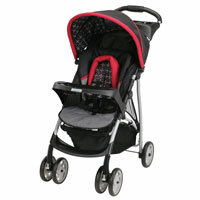 It keeps children up to 50 pounds comfortable in its multi-level, position-reclining seat and safe from the sun’s rays with its extra-large UV 50-protected canopy. It also features one-handed folding. 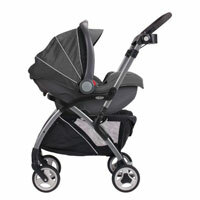 The durable, three-in-one Graco Modes Click Connect can accommodate any Graco car seat with a snap, act as a bassinet for an infant, or transition into a multi-position stroller for toddlers that can face outward or inward. 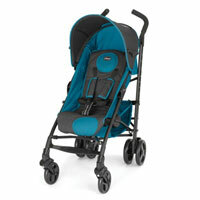 The lightweight, durable Graco Literider Click Connect holds children who weigh up to 40 pounds. It also offers the convenience of one-hand folding and a generous storage basket. 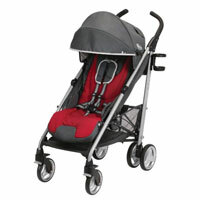 Parents can easily snap a sleeping infant’s car seat onto the lightweight Baby Trend Snap N Go EX Universal’s frame. 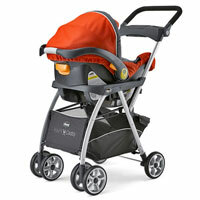 It also provides a smooth ride, one-hand folding, and a spacious storage basket. 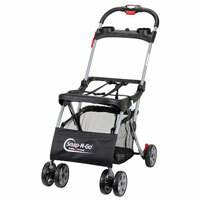 With its all-terrain wheels, adjustable-height handle, and patented quick-fold technology, the Baby Jogger City Mini GT is built for urban parents on the go. 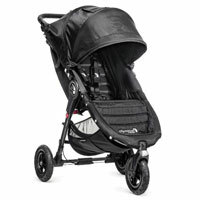 It keeps babies safe with a parking brake and retractable UV 50+ canopy, and preserves comfort with front-wheel suspension and a plush, adjustable seat that reclines nearly all the way. 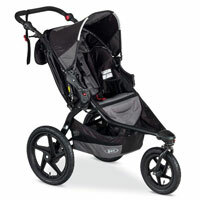 Part jogger, part stroller, the Baby Jogger Summit X3 features all-wheel suspension, hand-operated pump brakes for better control, and a remote wheel lock on the handlebar that allows you to shift between fixed or swivel mode, making it easy to transition from a walk into a jog. 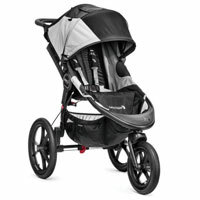 Whether you’re jogging or taking a leisurely stroll, the BOB Revolution Flex’s suspension and shock system means a smooth ride for baby, while its adjustable handlebars and lockable front wheel mean more comfort for mom and dad.